Our facility is designed to assure your pet's health and well being. Each exam room table is disinfected after every appointment. The treatment table, surgery room, and radiology table are also disinfected after each procedure. In the evening the clinic is cleaned thoroughly with a disinfectant. We take great pride in the appearance of our facility and hope that you enjoy our clean atmosphere. We'd like to welcome you to Admiral Veterinary Hospital. We hope your visit with us will be a pleasant experience for both you and your pet. Our goal is to provide a clean, comfortable environment. We provide cable TV and refreshments in our lobby to make your visit more enjoyable. 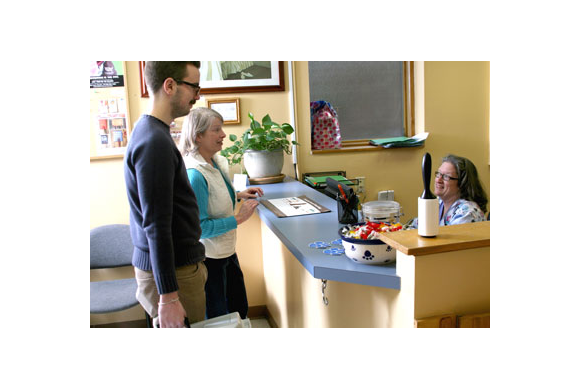 If you need anything while you are here, just let our staff know and we will do our best to accommodate you. Our exam rooms are designed to be comfortable and to provide a quiet place for your pet's examination. They have fold-up exam tables, chairs, and cable TV so that you and your pet can relax while you wait. Our treatment area is the hub of activity in our hospital. This is where examinations of hospitalized patients, radiology, specific blood collections, and treatment procedures are performed. We have an impressive laboratory right here in our hospital. Our hospital laboratory gives our doctors information within 15 minutes from a single blood sample. This gives us the opportunity to quickly diagnose your pet's illness without delay, while you wait. Blood chemistry panels, complete blood counts, and microscopic examinations are completed within minutes providing information to our doctors in order for them to diagnose and begin treatment of your pet in a critical situation.For additional tests, we have an excellent laboratory outside of the hospital which responds with a quick turn around time. 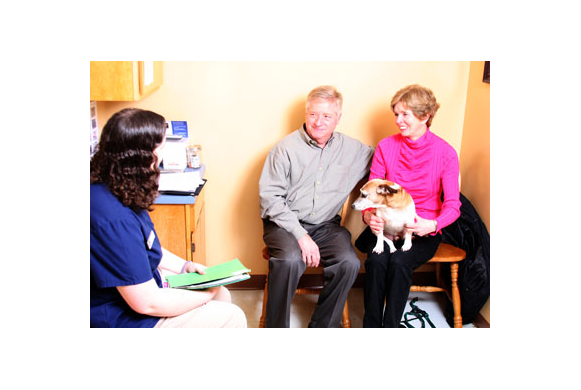 An in-house pharmacy allows you and your pet to go straight home from our hospital saving you a stop and adding the convenience of answering any questions you may have concerning your pet's medication. 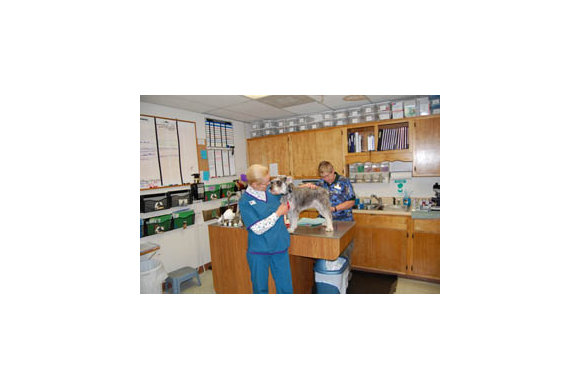 Admiral is committed to leading in the field of veterinary care technology. Our hospital has a complete x-ray facility and ultrasound machine to facilitate patient care accurately. These diagnostic imaging techniques allow our doctors to properly evaluate your pet's medical condition, giving us the opportunity to look inside your pet in a quick and painless manner. You'll be happy to know that our concern is not just to treat your pet's condition, but to make them as comfortable as possible during the whole hospital experience. 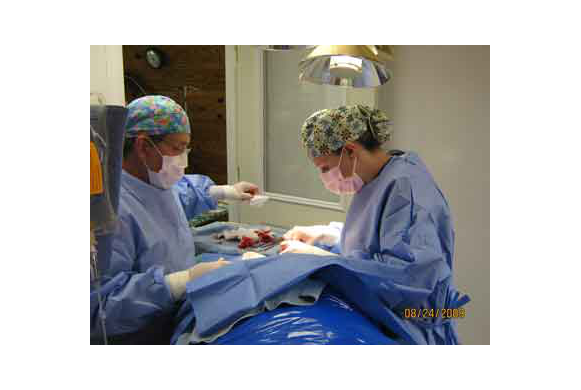 In this special room all major sterile surgeries are performed. These range from spays and neuters to more advanced surgeries. This room is equipped with state-of-the-art equipment including gas anesthesia, could exp. 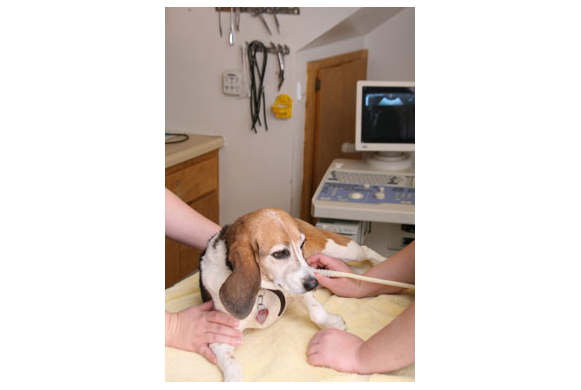 patient monitors, thermal support..
A fully trained veterinary technician staff is available to assist the surgeon. Whenever surgery is performed, the most modern anesthetic agents, pain killers and procedures are utilized. 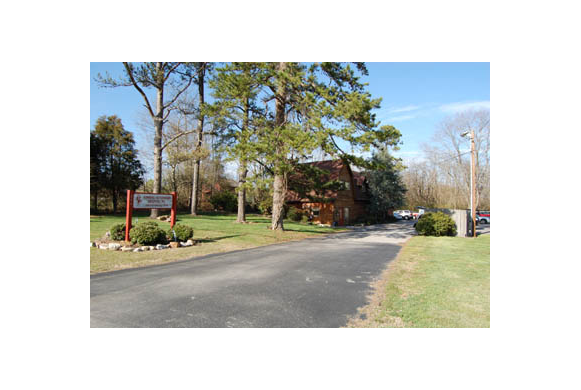 We have a large pet boarding area located in a separate wing of our facility. Our cat area has natural light to make it feel like "home". The dog boarding area has a wide range of kennel sizes. This area has access to a large grass yard for extra exercise and attention.